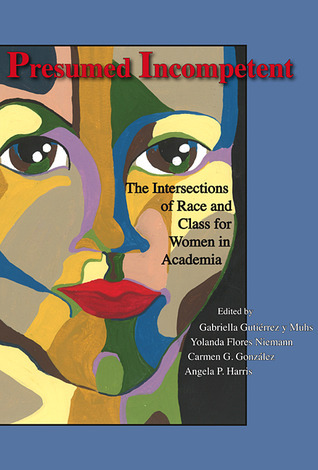 In Presumed Incompetent, through personal narratives and qualitative empirical studies, over 40 authors expose the daunting challenges faced by academic women of colour as they navigate the often hostile terrain of higher education, including hiring, promotion, tenure, and relations with students, colleagues, and administrators. Sin Yee Koh concludes that this is a must-read work, inspiring us to think carefully about the kinds of legacies we leave for the next generations. This was originally published on LSE Review of Books. Presumed Incompetent: the Intersections of Race and Class for Women in Academia. Gabriella Gutierrez y Muhs, Yolanda Flores Niemann, Carmen G. Gonzalez, and Angela P. Harris (eds.). Utah State University Press. December 2012. Academia is supposed to be a neutral space for the pursuit of human knowledge. As a hallmark of intellectual meritocracy, it is supposed to recruit and reward fairly. Yet, we know that in reality many groups are under-represented across university faculties. In 2007, women of colour held 7.5 per cent of full-time faculty positions in America (p.2). They are expected “to blindly follow … an imaginary and supposedly ethical yellow brick road” (p. 501). Upon arrival in the academic sphere, many encounter discriminatory practices, invisible walls, and glass ceilings, where race, gender, and class hierarchies matter, but are disguised through a rhetoric of incompetency. Presumed Incompetent is an anthology of personal narratives of women academics in the United States. Much more than just a collection of short accounts, the book seeks to bring attention to the underlying structures and obstacles inherent in American academia, particularly in regards to race, gender, class, and sexuality. Despite their professional achievements and positions in academia, the contributors – both white women and women of colour – discuss how they have negotiated fear, injustice, discrimination, alienation, and self-doubt in their lived experiences as university faculty. Following a short introduction, 30 chapters are organised into five themes, ending with a concluding afterword. ‘Part I: General Campus Climate’ deals with how academia becomes an unwelcoming space for women of colour. ‘Part II: Faculty-Student Relationships’ examines race, gender, and class-related challenges they face in classrooms. ‘Part III: Network of Allies’ looks at supportive and unsupportive relationships formed at work. ‘Part IV: Social Class in Academia’ analyses how race, class, and gender reinforce their marginalised status. ‘Part V: Tenure and Promotion’ reveals the inner-workings of racism in academic institutions through candid personal accounts. Each chapter describes personal experiences and relates that to broader theoretical and policy discussions about marginalisation in the academia. For me, the following three chapters capture the essence of this anthology. Second, Francisca de la Riva-Holly’s ‘Igualadas’ (Chapter 20) provides an in-depth account of her journey towards tenure in a conservative university. Hers is a journey of an igualada, a subaltern who enters an unequal relationship with her upper-class employer. She did not understand the expectations of collegiality and was unaware of “the secret social norms and behaviors” (p.292). Thus, she did not detect the dangers of entering a department where every faculty member knew and socialised with each other for many years. Eventually she was marginalised and excluded from many formal and informal processes in the department. She was even labelled as “the home wrecker” who broke up the solidarity of the department after her arrival (p.295). Fortunately, she found support from women with similar experiences, as well as a peer mentor who gave her objective advice. Her chapter ends with a discussion of her strategies in dealing with her marginalisation, while developing her career as a researcher and educator. Finally, Yolanda Flores Niemann’s ‘Lessons from the Experiences of Women of Color Working in Academia’ (Chapter 30) offers useful recommendations in moving forward. These are organised into five themes: general campus climate; faculty/student relations; social class, tokenism, and the search process; tenure and promotion; and networks for allies and mentors. Recommendations within each theme are discussed in relation to two target audience: firstly, university administrators; and secondly, “women of color and allies”. The recommendations are not just bullet points of ideal solutions without practical considerations; nor are they biased towards the perspectives of women faculty of colour. Instead, they are objective, workable, and based on logical principles to effect change. For example, one recommendation highlights the need for women faculty of colour to be aware of other ways that they are privileged. All in all, the recommendations reflect a nuanced understanding of the problem of marginalisation in the academia. This is why this book is a courageous and significant contribution – not just to gender and education studies, but towards a rethink of what the academia should be. I would like to think that universities are places for progressive thinking and the nurturing of future generations. Hence, they should not be environments where hierarchies and inequalities of race, gender, class, and sexuality become consolidated, exaggerated, and perpetuated. Presumed Incompetent reminds us that academia is not yet as meritocratic as it should be, as it continues to constrain the marginalised from equal participation. In light of broader global discussions about higher education and the academic profession, we should think carefully about what kinds of legacies we leave for our university students. Sin Yee Koh is a PhD Candidate in Human Geography and Urban Studies at the London School of Economics, and founder/editor of Urban Vignettes. Her doctoral project is a critique of British colonial legacies on contemporary skilled migration and citizenship practices in Malaysia. She believes in research and teaching drawing from in-depth understanding of local contexts and epistemologies. With prior professional experience in the public and private sector, she enjoys crossing boundaries and linking seemingly unconnected dots. Read more reviews by Sin Yee.